Since this blog was published, certain details have now been superseded (for example, the safeguards for pseudonymous data have been strengthened). Please read the more recent care.data blogs for further details. Over the course of the next four weeks, every household in England will receive a leaflet, ‘Better Information Means Better Care’. The leaflet explains how the NHS is upgrading its data systems and what people should do if they have any questions or concerns. If you believed everything you read in the newspapers about this upgrade, you would think the NHS was either about to give away everyone’s confidential data free of charge or flog it to the highest bidder. Needless to say, we are doing no such thing: to do so would be unethical, illegal, and unconstitutional. But what actually is the plan? As the OECD reported recently, the NHS has some of the best health information systems in world. Dating back to the 1980s, we have been collating information about every hospital admission, nationwide. By pulling this information together and then analysing it in de-identified formats, analysts can compare the safety of different NHS hospitals, monitor trends in different diseases and treatments, and use the data to plan new health services. At the moment, we are missing this type of information for much of the care provided outside hospital. We do not collect it nationally from all GP practices, for example, nor from ambulance trusts or community health services. As a result, we know worryingly little about how all the different parts of the NHS are working together to provide safe, joined-up care for patients. As the Chief Inspector of Hospitals put it, the NHS is currently “flying blind” in this regard. So the purpose of the care.data project, which has secured support from the BMA and the RCGP, is to address these shortcomings. Building on the successes of our existing hospital episode statistics (HES) system, we will bring together all of this missing information in order to obtain a more rounded and more complete picture of the care being delivered by the health service. As we’ve been doing for decades with hospital data, information from GP practices and other care settings will only be extracted as a series of codes, not as words and sentences. These codes will then be linked with a patient’s hospital codes using an automated system before being made available in three different data formats (see below). Each format is protected by a different suite of privacy safeguards as specified by the Information Commissioner’s code of practice on anonymisation. For simplicity, I refer to these formats as green, amber and red data, although their technical names are “anonymous or aggregated data”, “pseudonymised data”, and “personal confidential data”, respectively. Green data are where we will publish the average values for large groups of patients or completely anonymous figures. For example, we might compare Ashford versus Bury in terms of the average time between presenting to a GP with bowel symptoms and having an operation for colon cancer. Green data are published free of charge for all to see. So before publishing green data, we take extra care not to publish information about rare conditions or any combinations of characteristics that might identify individuals from the data. Amber data are where we remove each patient’s identifiers (their date of birth, postcode, and so on) and replace them with a meaningless pseudonym that bears no relationship to their “real world” identity. Amber data are essential for tracking how individuals interact with the different parts of the NHS and social care over time. For example, using amber data we can see how the NHS cares for cohorts of patients who are admitted repeatedly to hospital but who seldom visit their GP. In theory, a determined analyst could attempt to re-identify individuals within amber data by linking them to other data sets. For this reason, we never publish amber data. Instead, amber data are only made available under a legal contract to approved analysts for approved purposes. The contract stipulates how the data must be stored and protected, and how the data must be destroyed afterwards. Any attempt to re-identify an individual is strictly prohibited and there is a range of criminal and civil penalties for any infringements. Finally, in a few exceptional circumstances the HSCIC will make red data available where legally required to do so, for example in a public health emergency such as an epidemic. In the future, red data may also be made available to an organisation that has obtained the patient’s explicit consent or has been granted legal approval by the Secretary of State for Health or the Health Research Authority following independent advice from the Confidentiality Advisory Group (CAG). CAG considers each application in great detail against the legal framework and recommends whether approval should be provided together with any conditions. Applicants for red data would need to demonstrate (i) that the research was in the public interest and for the benefit of the health service; and (ii) that it is not possible to use information that does not identify patients; and (iii) it is not possible to ask patients for their permission. We want to make the most of the information that the NHS already collects. By drawing it together from all parts of the health service, not just hospitals, we will better be able to understand the causes of ill health, learn how to treat patients more efficiently, and find out what happens to patients after they leave hospital. Ultimately, this is an opportunity for all of us to help the NHS deliver high quality care for all by making the most of the information collected about us. More information on the care.data programme is available here . Geraint Lewis is the Chief Data Officer at NHS England and an Honorary Clinical Senior Lecturer at University College London. He trained in medicine at the University of Cambridge and holds a Masters degree in Public Health from the London School of Hygiene and Tropical Medicine. Geraint began his career in acute and emergency medicine, working at hospitals in the UK and Australia over an 11-year period. After completing his higher specialist training in public health medicine, he was appointed Senior Fellow of the Nuffield Trust (an independent health policy think-tank), then as Senior Director for Clinical Outcomes and Analytics at Walgreens in Chicago, before returning to the UK to take up his current post. 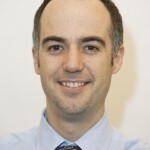 A fellow of both the Royal College of Physicians of London and the UK Faculty of Public Health, Geraint is the lead author of the postgraduate textbook Mastering Public Health and has published over 40 peer-reviewed articles in journals in including Health Affairs, JAMA, Milbank Quarterly and the BMJ. Geraint was a 2007 Harkness Fellow in New York, during which time he received the National Directors’ Award at the U.S. Department of Veterans’ Affairs. In 2008 he was the “overall winner” of the Guardian Newspaper’s public service awards. In 2011, he was awarded the Bradshaw Lectureship of the Royal College of Physicians of London. Previous recipients include Sir Liam Donaldson, Dame Sheila Sherlock, and Sir Magdi Yacoub. More recently, he has served as an external adviser to the World Bank, and he leads the Care Model Design work-stream of NHS England’s New Care Models Programme. Well that’s all very nice, but what you haven’t said is whether patient databases are secure. The infection or loss of a client computer is easily reparable but if the database gets infected or compromised then it’s curtains for confidentiality. Security must come first and this requires root and branch analysis and correction. Since this malware spreads by email, you should ban html or rich text and strip out attachments. That slams the door on future incursions via that route. Good luck you’re gonna need it! I work within the Equality and Inclusion team at the Department of Health and have just printed off your item above for some people who live locally to me who are convinced that their details are going to be sold off to all and sundry once they agree to their data being shared. I think people are scared that they will be bombarded by telephone calls and emails from the private sector. These people have been to see their GP for reassurance and it seems as if he/she couldn’t do so. I also am aware of someone who had been to see their local GP about a problem and was deciding what to do when they were contacted by a private hospital who they had a health policy with and who had operated on them before. This person said that there must have been contact between his GP and the hospital without his permission for them to even know about his complaint. Obviously this GP should be reported but this person is reluctant to do so. Therein lies the rub. The data collection team has already decided that everyone has provided consent by opting them in. In what other industry is it acceptable policy to opt people IN to have their personal (and it gets no more personal) information harvested, stored, sliced & diced then regurgitated. This isn’t the internet of the 90’s. Be brave & honest, opt everyone OUT and then try and sell it to the public. 2	I would be happy for my data to be used in this way, provided it is totally anonymised – in no circumstances can the data be connected to me personally. It would be quite easy to totally anonymise data; each GP system would allocate a randomly generated code to each personal file; which should also apply to the N.I. number. Only the G.P. system would have the information as to which Code related to which person. And the G.P. tradition of confidentiality would be maintained. There may be situations where there is a strong interest in identifying individuals – perhaps analysis of data has shown particular treatments to be very effective, or conversely to have a poor outcome. In this situation it may be useful to contact individuals with regard to this situation. This could easily be done by contacting the relevant GPs with details of the relevant anonymised patient codes. The GP could then decide whether to contact the patients. While this may be less efficient than direct contact, this is no different than the current NHS system whereby most hospital-patient contacts go through a GP rather than direct. Unfortunately your publicity campaign has been disingenuous and misleading. Your leaflet delivered to households does not spell out clearly whether data will in some circumstances be identifiable; and it uses a range of phrases to try to give the impression of anonymity and confidentiality – phrases such as `details that could identify you will be removed….` ` and `information that we publish will never identify a particular person`. Looking at the Blog the references to `red data` seem to make it clear that some identifiable data will be released. The approach in your publicity leaflet does not help your claim for trustworthiness. The reader needs to take a `forensic` approach to read between the lines to try to understand what it is saying about the release of confidential data. While NHS may endeavour to set up systems to fully protect data, in practical terms it is unlikely to be successful. Decisions on confidentiality would be made by people in the system, who will come under direct pressure from those who wish to access the confidential data. The system would be used by large numbers of people; it only needs a few to abuse the system and confidentiality will be lost. And once the data is out there it cannot be recalled and confidentiality re-instated. –	Police prosecuted for obtaining personal DVLA data in pursuit of personal disputes. –	The head of on line security of a major Bank prosecuted for fraud. –	Employees of a large Insurance company sacked for passing customer details to Claims companies. –	DVLA confidential driver data sold to supermarkets and others. In my opinion you should ensure any system is totally anonymous, with no possibility for identifiable data. By presuming consent you are not giving patients a choice. You should require all patients to express a preference, to either opt in or opt out. That is choice. That means patients make the decision. The leaflet was poorly designed and did not even provide an opt out form. Surely all patients should have their views requested and respected? Having been directly involved in making specialist tertiary care patient data more visible to regional healthcare communities, the problem is not with the intention of a system nor the implementation but with subsequent ownership. Time and time again an organisation commissions a patient portal but fails to take account of budgetry and personnel-hours required to manage their portals processes. In the end such a system becomes a millstone rather than achieving its potential as a means of facilitating more informed care provision and improving outcomes. This may be good, but I have doubts. There have been many cover ups, data loss, and of course there is the increasing risk of hackers targeting the NHS website. How can anyone be sure that although this could be of benefit, somewhere down the line the information is used, for how shall we put this, nefarious uses. It has happened before so cannot be ruled out. Until people in power can be trusted completely they should not be given complete power or information. I would like to know how strong the software protection is and how to stop this information being used for anything other than what this was designed for. The NSA in the USA for example put themselves above human rights and the law and have investigated thousands if not millions of private emails, what is to stop them or anyone else of demanding data they are not entitled to? I have been looking for some time now and NOWHERE is a critical piece of information; WHO (or more accurately what kinds of institutions) might be given access to this information. Perhaps naïvely I don’t have concerns about the data being anonymous. What I do have HUGE concerns about is the data being shared with the pharmaceutical industry. But not because they may use the data to create new drugs – it is that industry’s record on NOT SHARING the results of their own testing that concerns me. I contacted my GP Surgery, last week, to ask how to Opt Out of the scheme. Now, either I’m being lied to, or not all of the GP Surgeries have been informed about the latest Care Data Scheme details. Having read all of the comments, here, I am still no wiser about Opting Out procedures; this, in itself, seems detremental to my wish to do so. Why is a straightforward answer on how to Opt Out not available on this Website? That we only have one month to sort this out, is not right either. If an able-bodied person is not able to discover how to Opt Out, then what chance have the less-able. I think it is a digusting state of affairs – one which should be rectified asap. The opt-out system relies on informed consent I am broadly in favour of NHS data sharing, but the way in which this has been done is shamefully inadequate. I face a dilemma- do I opt out, in protest; or allow my data to be used for what I believe to be fundamentally good and useful purposes? How will you track that the contract you release Amber data under has been adhered to? If a patient suspects that Amber data about them has been released, cross referenced with other commercial datasets, and that they have been re-identified and their data used for the purposes of selling (or withholding) products or services, to whom can they complain? Who will investigate this complaint, and how will the released data be re-captured, deleted from 3rd/4th/5th/xth party owned datasets, and re-secured as private and confidential data? Who will be punished and how, for what types of data breach? Having the whole country’s medical data in one location is just handy for the next step…the privatisation of the NHS. You state if we have concerns we can use the patient Information line ? As deaf we cannot use that line. And,you do not state if we can REFUSE to allow our patient data to be shared with non-health systems. There are concerns we have data sold to private areas to be bombarded with unwanted communications and adverts. In wales e,g. The donor issue ignored deaf people totally and they were not even asked if they wanted to opt out or not, and the Assembly there has agreed to them all opting IN,without consultation. Hi, the dedicated patient information line (0300 456 3531) also has a text phone number you can use. This is 0208 742 8620. See the NHS Choices website for more about Care.data info in accessible formats. We the corporate up for sale mugs have to opt out rather than you running a system of opt in. In a democracy those who believe their argument is overwhelmingly for the greater good would have no fears of using the latter rather than the former. Clearly You and Hunt are not convinced of your own argument to carry the day and have therefore chosen the Stalinist position on democracy for the people you are supposed to serve. Shame on you! Therefore, I, nor my medical records are for sale to the corporate vultures you encourage to feed off OUR NHS. So with no regrets I’m out! 2) Red data: Will patients be made aware when their data is shared? How can they find out? 3) Amber data: Can patients audit/view all contracts under which their data may be shared? There’s a big difference between pseudonymising(?) all people born in 1981 under a single identifier, and having a different identifier for every day/month/year. The devil is in the detail as to how the pseudonymising is performed. 4) Amber data: What civil and criminal protections are you referring to? Is it primarily the Data Protection Act? 5) Data Protection Act: According to 7(2) the NHS, as a data controller, only needs to provide me information about what information is shared about me, to whom, following a written request. Should I therefore be sending you a DPA request every week? Or are there better mechanisms by which I may find out that information? 6) Amber Data: Related to (2) and (5), do you have a list of what purposes you have approved, and what you would/wouldn’t approve in the future? Your statement implies that the ‘approved purposes’ would always be in the patients’ best interest – how may I be sure of that? Surely General Practices can under the present framework make statistical returns (ie without any patient identification symbols such as postcodes and NHS numbers attached) to show many of the patterns, problems, trends that this new proposed practice is supposedly being established to gather. The leaflet sent to households lacks specific detail and for me Geraint Lewis’s words and his red/amber/green codes do little to quell concerns that many of us clearly have. We need MUCH more information about this. It should also be a case of opting IN not opting OUT. Please state your technical qualifications that show you know what you are talking about. I am an IT security professional, in the industry for 20 yrs. This system will be abused, and will not deliver the benefits ascribed without compromising the individual. My advice as a technical expert in this field and as someone who has inside knowledge of the technical architecture is to OPT OUT!! Insurance company A knows you had a claim due to bad back caused by a car accident two years ago and you fell down the stairs last year at work and made a claim the dates and claim value enable the company to identify your ‘anonymized’ records. In a couple of years the NHS has decided to privatize to the point that private medical insurance is desirable/necessary (like it is in the USA and many other countries) in that year you decide to start personal medical insurance and bizarrely to your shock and horror, you find that your premium is 300% higher than your neighbor who has a similar medical history, wow, i’m basically un-insurable what did i do different to my neighbor? oh that’s right, my neighbor was concerned about privacy and opted out in 2014……. As a Software Engineer involved in designing and maintaining databases, I will definitely be opting out of this. I have seen no details anywhere on how or where this data will be stored, in what kind of system, nor how access to it will be controlled. What are your technical qualifications relating to databases? Can you prove that the work of your technicians will follow precisely the bold (and in my opinion, worthless) assurances you’re giving? WHERE CAN I OPT OUT – I haven’t seen an NHS doctor for about 15 years? Given the tawdry record of NHS IT contracts and contractors, all the wasted money, I simply don’t believe ANYTHING the NHS claims. Insurance companies L-O-V-E health data – as proved in the USA. Only strong legislation, with severe penalties for executives – will keep data safe. The ONLY thing more valuable than health data is DNA data. The words ETHICAL and INSURERS are not commonly associated with each other. I am quite happy to have my data shared within the NHS; I can see the benefits of this. But I do have concerns that private companies will profit from this. I would not want to see my medical information freely given to some multinational company which then uses it to produce a product or service that is then sold back to the NHS for profit. Will data collection and storage be ‘offshored’? Can we really trust the security of it? This is an excellent blog – very clear. There is a fine balance between patient confidentiality on the one hand and making well informed decisions and plans on the other. While there are no absolute right answers, an entirely risk averse strategy of no data sharing at all, would be quite wrong, in my view. In the interests of long term patient care, I think the crime of NOT sharing data is greater than the crime of sharing data. So long as it is done securely, ethically and constitutionally, as you describe. Perhaps you might say a little more about the Social Care aspects of the Health and Social Care Information Centre (HSCIC) plans? Patients should consent for the release of any data or information, the GP’s or NHS are not the owners of this information, they are just guardians. Data protection and the information governance within the NHS have failed to protect our information. Irrespective of the use for the information this should be the right of the patient to consent not for your organisation to accept consent if you don’t hear back from patients. When I went to to my GP practice yesterday to opt out, the receptionist admitted that they hadn’t known anything about CareData before people had started handing in opt-out letters earlier that day. Add that to the lack of publicity, hiding the leaflet in the junk mail, not providing an opt out form – and you wonder why people are suspicious? Why was there no mention at all of “red” (identifiable) data in the leaflet, which gives the impression that all released data would be anonymised? How can the ICO allow this programme to go ahead with that grave omission? Releases of “red” data without patient consent are already hardly “rare” – there have been 31 such “section 251” releases since April 2013 http://www.pulsetoday.co.uk/your-practice/practice-topics/it/revealed-independent-experts-overseeing-caredata-have-approved-31-releases-of-identifiable-patient-data-since-april/20005572.article. None of this is a good start for a programme based on trust. I, along with most of the country probably, have a supermarket loyalty card, bank accounts etc. Do you really think these companies don’t link our data to everything they can? The only reason the NHS is in the news so much is because they chose to be open about what was happening and has in fact been happening for many years. You only need look at the HSCIC website to see that linking health data is old news. I think anyone taking advantage of a state funded service forfeits their right to object to administrative data being used in this way. How else do you expect services to be improved? The fuss GPs are making about this only makes me think they have something to hide. Hospital doctors have had their data subject to scrutiny for decades and the resultant improvement in patient outcomes has been immense. I personally look forward to the GP data being used to identify poor performers as I certainly wouldn’t want my care provided by a GP who has a tendency to allow his patients to die! Do you think the people at Nectar know if you had an abortion? Or if you were prescribed antibiotics for an STD? Or if you had a test for HIV/AIDS? Or if you attended a Drugs and Alcohol advisory service? Or if you were abused as a child and referred to counseling services? They don’t know this information now, but if they can buy pseudonomysed data from NHS England and cross reference it (by postcode, DOB etc) with what they already know from the Nectar database, they might might well be able to identify you, and will know your private medical history. Would you be happy about that? According to the leaflet: ‘If you are happy for your information to be shared, you do not need to do anything.’ I am concerned that if a person does not contact their GP to opt out, it will be assumed that they have opted in. My leaflet was delivered in the middle of a whole load of junk mail. I very nearly chucked it straight in the bin as I couldn’t immediately see that there was anything more important than a flyer for Domino’s pizzas. I appreciate that there are other ways in which you are making people aware of this change, but none of these methods can offer universal coverage. I think it is unwise to make ‘opting in’ the default position when you cannot ensure that everyone has been informed, especially over such an important issue which may or may not affect personal privacy. This assumption in itself represents a potential infringement of an individual’s rights and liberties. Having read your blog, I’d make the following comments. Whilst you may believe and intend that highly confidential and personal data from patients medical records, shared with third parties will be used solely to improve services and will never be released or used for other purposes, I doubt that you can guarantee that. In addition once data has been collected and stored it will be at the mercy of future changes in legislation and no one, not you nor any current official have the power to prevent this. We are all still reeling from the spying revelations where personal email, phone calls and other communications have been shared with both domestic and foreign intelligence services, hacked by Newspapers and sold to insurance companies and no-win -no-fee solicitors. No data collected and stored, especially data shared with third party organizations is ultimately safe from hacking. There will be leaks, there will be breaches in the privacy guaranteed by you and I suspect that we will all be watching you on a TV news report answer questions about these invasions of privacy in the years to come. I certainly wouldn’t put my reputation on a guarantee as you have, you must be a very brave man. I do not want my NHS data to be made available to any organisation outside the NHS, particularly when you admit they would then have the option to sell the information on to a third party like the pharmaceutical industry. Why can’t patients opt out through this website or one of the leaflet phone numbers? Doing it through my GP practice is going to be a pain as everyone there is always so busy. Some points on which I require further clarification. – I am unclear about what I am giving permission for. If I opt out is my data removed from Green, Amber or Red uses? – if an organisation obtained any form of monetary benefit from use of the data. Does the NHS get a cut of the profits? It should in my opinion. – How does the NHS ensure that all GP practices are applying the rules on data use to the same standard. Would you please review your reply of 11 February on red data. My understanding is that the flag of 9Nu4 on my GP records will as you say prevent HSCIC releasing red data in a clearly identifiable form. However by also applying a flag of 9Nu0 this will ensure that no personal confidential data from my GP record is uploaded to care.data. Therefore if I wish to retain maximum confidentiality I should ask for both these flags to be applied. It is unfortunate that this is not made clear in any NHS England source I have seen. If you wish to object to your GP data being used for purposes beyond your direct care, you should inform your GP practice. The household leaflet is only part of a comprehensive range of awareness raising activities, which also includes: leaflets and posters in every GP practice in England; articles in newspapers; interviews on tv and radio; information on the NHS Choices website; and via social media; as well as information cascaded via 350,000 patient groups and charities. The Data Protection Act 1998 sets out clear “data controller” responsibilities, which include ensuring you are made aware of the ways in which your information is used and the choices you have. GPs are data controllers for the data they hold about you so it is their legal responsibility to record any objections from patients. We cannot capture and record the objections of individuals at a national level. However if you have any questions or concerns then you can call the national patient information line on 0300 456 3531. Will there be a reply to the serious points raised below, none of which is addressed in the delivered leaflet. Nowhere does the leaflet say whether private companies will be able to buy NHS data. Presumably they will so why disguise the fact? Why has it been made so difficult to opt out? Why has delivery of the leaflets been so poorly organised? If the government or one of it’s agents requested data, for example: A list of all patients suffering from fybromyalgia, would this data be given? There is already enough fear amongst the disabled population about the so called ‘demonization’ of them, could tis information be used as a form of selection process? Just one care.data leaflet was posted through our shared front door – a door to a house that has been converted to three flats (and, therefore, three households). Most of the houses in my long road (house numbers go up to about 260) have been similarly converted. So it seems more than possible that in just this one road, several hundred people will not have received the leaflet. What opportunity will those people have had to make an informed decision about opting out? I am concerned that private companies will benefit from this resource without any guarantee of a reciprocol benefit to the public. Should not all private companies be prohibited from using the database until they can demonstrate that they freely share all non-commercial scientific data. This is not to be ideological but rather to recognise the need to persude big pharma of its responsibilities to the public sphere. Why are you making it hard to opt-out? I shouldn’t have to talk to my GP to opt-out of this service. There should be an online resource where I can opt-out. You might say it’s not hard to talk to my GP, but I don’t have to talk to BT if I want to go on the TPS. As data controllers, it is for GP Practices to determine their own local process as to the different ways in which they wish to receive objections so there is no national online process for this. Then the opt-out should be provided at the HSCIC level.